Obituary for Viola M. (Holloway) Hoppe | McElvarr Funeral Homes, Inc.
Viola was born in Philadelphia to the late Charles Holloway and Mae Sibbitt Holloway. 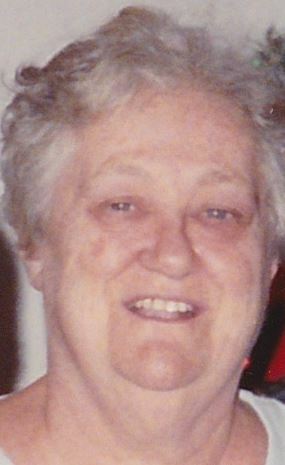 She passed away on Saturday, at Cape Regional Hospital, Cape May Court House NJ. Viola was very active and involved in her community. She was a Deacon at First Presbyterian, and she enjoyed visiting parishioners and others in the neighborhood. She showed compassion and caring to all she met. She had been the leader of Cub Pack 498, and had a wonderful time with the youngsters. As President and Treasurer of the Ladies Auxiliary of Elm Tree Post # 88, American Legion, she was involved all aspects of the Post activities. Among her favorite things were her fur and feather babies, bingo, ice cream, sewing, cooking and crafts. She is the beloved wife of the late Harry W. Hoppe, Sr., Devoted mother of Harry W. Hoppe, Jr. ( Alice ) and Ruthann Hoppe. Loving grandmom of Benjamin. Dear sister of Frank and Albert Holloway. Predeceased by Anna Arentzen, David, Bill and Charles Holloway. Sadly missed by her nieces and nephews. Relatives and friends are invited to her Funeral Service on Thursday April 4, 2019 at 12 Noon, in the McELVARR FUNERAL HOME, 1415-17 East Susquehanna Ave., Fishtown, where her viewing will begin at 11 AM. Interment Mount Peace Cemetery. In lieu of flowers, the family is respectfully requesting memorial contribution to either First Presbyterian Church in Kensington or the Ladies Auxiliary of the Elm Tree Post.